These sparkling, shimmering Swarovski crystal skull hair pins add just the right bit of both sweetness and bad-assery to your -'do. 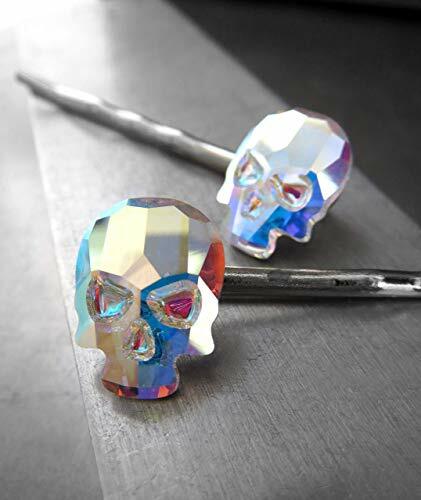 Set of 2 Swarovski crystal skull hair pins in 'Crystal AB' - a sparkling, shimmering crystal with a mystical iridescent flash of colors--yellow, blue, pink & green. Please note: each set of 2 pins both a right side mounting & a left side mounting.